The winter months are not my friend when it comes to my depression & anxiety. The whole being dark at 4:30 in the afternoon doesn't help either. I'm not a fan of the cold, snow...or pretty much anything about the winter other than the fact that I see my family on Christmas. Every other day besides Christmas is a constant battle of just simply getting through the dreaded winter. I figured that a lot of y'all that read my blog would find this post hopeful, so I wanted to share a few things that I do when I'm feeling depressed and overwhelmed with anxiety. 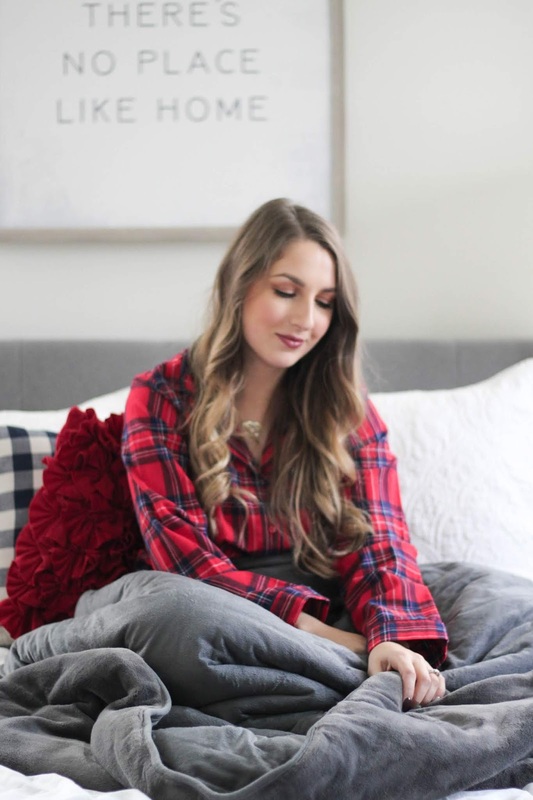 If you've never tried a weighted blanket, you need to. 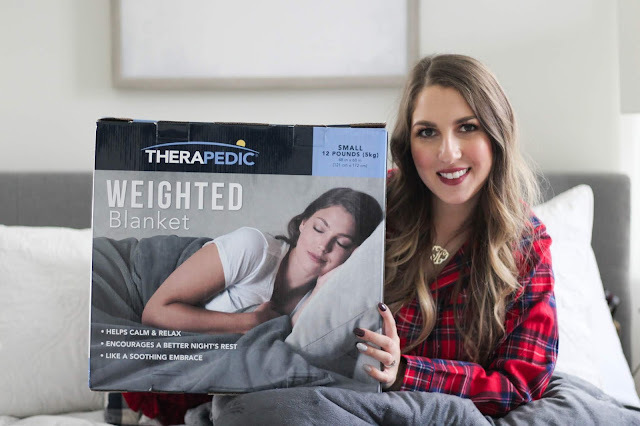 Therapedic is amazing and sent me a weighted blanket to try out before they launched in stores last month, and I have been hooked ever since. I literally can't sleep without it. It helps calm & relax and legit feels like the best hug you've ever gotten. You choose your blanket size by your weight so that it's the perfect amount of pressure while you relax! It's made with Purely Soft™ fabric and is super soft and cozy. It's definitely an investment, because it's a little over $100, but honestly, it's so worth it if you have a hard time sleeping due to insomnia or anxiety. It helps me fall asleep so fast and I stay asleep. Therapedic Weighted Blankets are exclusively sold at Bed Bath & Beyond! 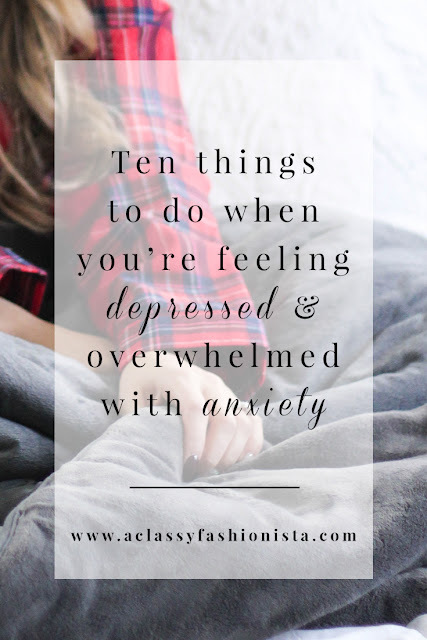 When I'm feeling super anxious and I feel an anxiety attack coming, I close my eyes and start counting to ten. Once I reach ten, I start counting all over again. I do my best to breathe slower to calm myself down, but if that doesn't work, I breathe in hard for a few seconds and then let it all out. It feels super silly, but when you're having an anxiety attack, you know you'll try just about anything to feel better. It's the most awful feeling in the world, so when you're feeling an attack coming, just focus on your breathing as best as you can. There is always something good happening in your life that you can think about or look forward to. It may not feel like it in the moment, trust me, I get it--but you can try to think of something good. When I'm feeling super depressed at night, I will ask Chris to tell me something good and try and think about those good things he's telling me. It can be something as simple as him telling me how much he loves me or us talking about our day. Either way, think of all the good and let that overtake the bad. I noticed that the more free-time I have and the more bored I am, the more depressed I feel. I function best by staying busy and then relaxing when needed, but jam-packed days give me purpose. 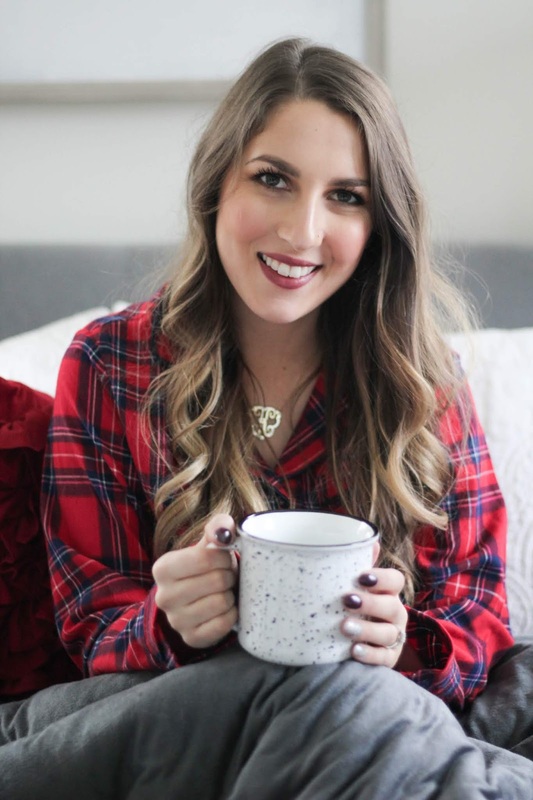 When I decided to go back to work full-time in retail management, I knew that blogging would be my forever side-hustle. 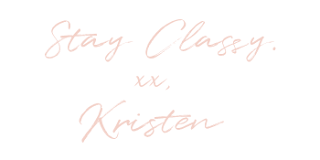 So, when I get home from work, I always have something to do blog-wise to keep myself occupied and busy. If you don't have something to look forward to when you get home from work, try taking up a hobby that's just for you. Whether you blog like I do, sew, paint, color, or fix up old things & make them new, do something that makes your heart sing. My Lilly-Bear is my happy place. She literally saved my life and helps relieve my anxiety. She's the sweetest thing in the entire world, and will snuggle me for hours upon hours, because she just knows how much her snuggles mean to me. I've always said that cats (& pets in general) help improve your mental health. So, grab your fur baby and snuggle up! THIS. This is life-changing. Surrounding yourself with those who love you and want the best for you is so important to keeping your depression & anxiety under control. I know that when I'm hanging out with those who encourage me and want the best for me, I'm automatically happier. You're free to be yourself around these people, and you're able to be vulnerable with them when you need to be. Talk life out with them--they love you, and they'll be able to help you talk through any hardships. I know it sounds cliché, but a self-care night can work wonders. I'll start by taking a hot shower or bath, and then paint my nails and relax in bed to catch up on my favorite shows. You can even grab your favorite snacks and indulge a little on Oreos, Doritos...or anything else that you love! Have a perfect night for yourself and enjoy it. These nights are meant for you to de-stress and re-center everything you've been feeling lately--from stress to anxiety, let it all melt away just like the wax in your delish candle flickering on your bedside table. Write it out, girlfriend. Whether you want to keep an actual paper journal or you'd prefer to type it out, get it all out and on paper. There's something about writing through a situation that helps you process how you're feeling a lot better. It's kind of like when you want to respond angrily to someone in an email, and you type it out, but never send it--don't you feel so much better once you type it all out?! This is the same thing--but better. Get it out and get yourself on track to feeling so much better. Life needs adventure. For me, just the simplest of adventures can make my week. Give yourself something to think about and remember as an amazing time--especially when you're feeling down. Take a walk around a nearby park, take a trip to the city, drive a few hours away and create new memories and just get away--just get out and go on an adventure. I'm super Type-A, so I'm all about organization and planning. When you're feeling depressed and anxious, there's nothing better than controlling something and feeling in control of your life. Make a plan for yourself--if you're anxious and depressed about your crippling debt, make a plan to get out of debt, if you're anxious when you go to work, make a plan to get a new job, or maybe you're depressed around the holidays, because you're far away from family--make a plan to take a trip to see them or to hang out with someone near by. Making these plans will give you something to look forward to and keep moving forward when things get tough. These are all things I do when I'm feeling depressed & overwhelmed with anxiety--I hope they help you, even if it's just a little! 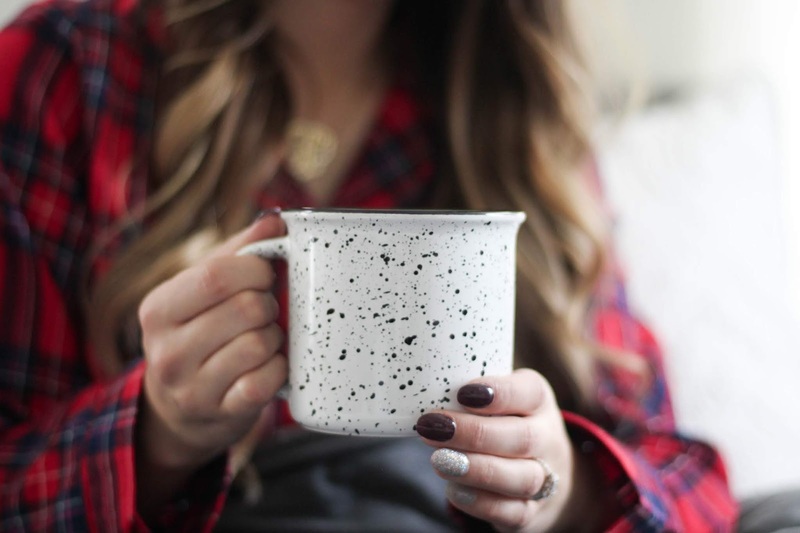 What do you do when you're feeling depressed & anxious?